Northeast Kingdom Inn Vacations can be a fantastic escape. The spectacular northeastern corner of Vermont is known as, “The Kingdom”. A naturalists delight, the Northeast Kingdom of Vermont is what real Vermonters call “the real Vermont”. Find Dairy farms, country stores, deep lakes, and mountain view inns. Kingdom Trails – the local hiking and trails system offers hundreds of miles of hiking and snowmobile trails. 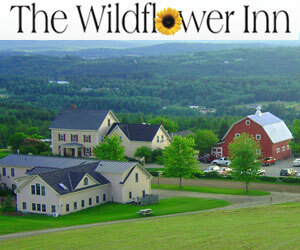 You will find some outstanding northern Vermont country inns and bed and breakfast inns here. Browse our selections below. nestled in the heart of the Northeast Kingdom of Vermont. 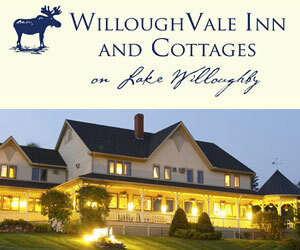 WilloughVale Inn & Cottages is the perfect vacation spot for recreation and fun. If you would like to add your Northeast Kingdom Vermont Country Inn, Lodge or Bed Breakfast Inn to this web site, please contact us. No one knows the northeast kingdom like Vermont Living. Visit the Northeast Kingdom - home to Jay Peak, Burke Mountain, Lake Willoughby, Crystal Lake, Kingdom Trails, and thousands of acres to explore. Find mountain view inns, and St. Johnsbury suite hotel lodging. VT Living - Vermont's Internet Magazine offers suggested lodging accommodations in the beautiful "Northeast Kingdom" of northern Vermont.